Germany's Volkswagen is in talks to invest in Algeria, the second European carmaker to show interest in the north African country, an Algerian minister said on Sunday. "Volkswagen is very insistent to come. We have had interesting preliminary discussions with this group," Industry and Investment Promotion Minister Mohamed Benmeradi told a conference in Algiers. 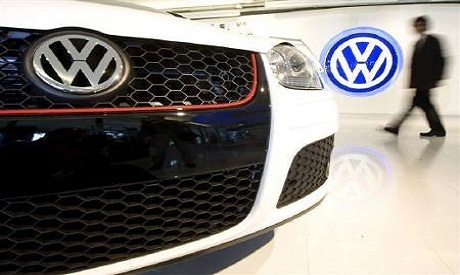 "Volkswagen offers to consider Algeria as its base of support for the African market," he said without elaborating. Late last year, Benmeradi was quoted as saying Renault was in talks to build a plant in Algeria with a capacity of 75,000 cars per year from 2012. Renault operates a car plant in neighbouring Morocco and is building a second production complex there. "The Germans and the French want to move quickly. We need time to examine all aspects," the minister said on Sunday. Algeria imported 67,791 vehicles in the first half of 2010, according to official figures. Renault says it sold 56, 089 vehicles in Algeria in 2009 and has a 23.5 per cent market share. Algeria has introduced a 49 per cent ceiling on foreign ownership of businesses registered there.